Eating a healthy, well balanced diet can be difficult during these economically challenged times. Join us for this single webinar presentation to learn more about meal plans that promote health while saving money, cost effective ways to buy organic products and other tips to stretch the food budget. Relias Learning is an approved provider of continuing education courses by the American Occupational Therapy Association. The assignment of AOTA CEUs does not imply endorsement of specific course content, products, or clinical procedures by AOTA. Category 1, 2, & 3. This activity is approved for 1.50 contact hours. This course has been approved by the Florida Board of Occupational Therapy for 1.50 contact hours, approval number 20-530227. The Florida Board of Physical Therapy accepts courses approved by any state chapter of the American Physical Therapy Association. 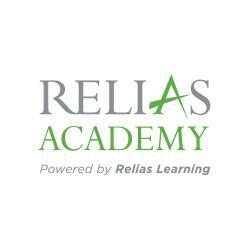 Relias Learning is a Texas CCAP Accredited Provider by the Texas Physical Therapy Association, approval #1902008TX. This activity is approved for 1.50 contact hours. Learners must self-report this completion to CE Broker in order to receive credit from the Florida Board of Physical Therapy. The Iowa Bureau of Professional Licensure accepts Continuing Education hours obtained by completing online training courses related to the practice of physical therapy. This course is approved by the Physical Therapy Board of California and offered to PTs and PTAs for CEUs. This activity is approved for 1.50 contact hours. Disclaimer: It is the learner's responsibility to determine whether or not this course meets the specific renewal requirements established by your licensing board. This course meets the Credit Standards of MR 5601.2500 and 5601.0100 Subp. 9 for Category 2 continuing education credit. Minnesota PTs and PTAs may submit up to a maximum of 10 contact hours of Category 2 continuing education credit each licensure renewal. This activity is approved for 1.50 contact hours. The Nebraska State Board of Physical Therapy accepts Continuing Education courses relating to the theory or clinical application of theory pertaining to the practice of physical therapy. This course is approved by the Physical Therapy Board of California and offered to PTs and PTAs for CEUs. This activity is approved for 1.50 contact hours. Disclaimer: It is the learner's responsibility to determine whether or not this course meets the specific renewal requirements established by your licensing board. The Oregon Physical Therapist Licensing Board accepts Continuing Education courses approved by any state physical therapy licensing board. This course is approved by the Physical Therapy Board of California and offered to PTs and PTAs for CEUs. This activity is approved for 1.50 contact hours. Disclaimer: It is the learner's responsibility to determine whether or not this course meets the specific renewal requirements established by your licensing board. This activity is provided by The Texas Board of Physical Therapy Examiners Accredited Provider #1902008TX and meets continuing competence requirements for physical therapist and physical therapist assistant licensure renewal in Texas. This course is not approved as meeting the ethics and professional requirements for Texas physical therapists or physical therapist assistants. The assignment of Texas PT CCUs does not imply endorsement of specific course content, products, or clinical procedures by TPTA or TBPTE. This activity is approved for 1.50 contact hours. Describe three meal planning tips to promote health that saves money. Explain how to save money buying organic.